If you plan to spend time working on your lawn or in your garden this summer, you’re probably familiar with some of the basic necessities to keep yourself healthy. Drinking lots of water, applying sunscreen often, and taking regular breaks to cool down can all keep you from ending the day overheated and sunburnt. But what you might not know is that even if you take all of these precautions, there are still some potential hazards that could put a kink in your plans. One of the most prominent risks? A brush (no pun intended) with the poisonous plants that are common in our area. In today’s blog, we’re tackling some of the major offenders that could pop up in your outdoor activities. 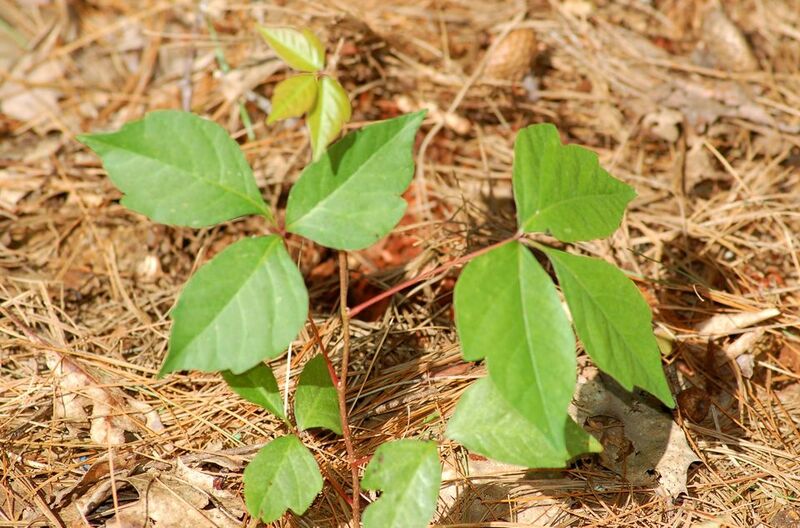 Perhaps the most widely known plant-based irritant, poison ivy is incredibly common and isn’t too hard to differentiate from risk-free plants. Each stem of poison ivy usually grows a vine or small shrub with three glossy leaves, each of which has smooth or toothed edges. The leaves change color throughout the season – ranging from a reddish hue in the spring to green in the summer, and ultimately ending up orangish-yellow in the fall. Depending on the environment, poison ivy plants may sometimes sport greenish-white blossoms and even some small yellow berries. It should be easy enough to avoid, but if you come into contact with this poisonous plant, be sure not to scratch and soak yourself in cold water as soon as possible. You can also apply a topical corticosteroid, such as calamine lotion, to soothe the skin irritation. Similar to poison ivy, poison oak is a less common poisonous plant that also grows as a shrub or vine. The leaves on poison oak are fuzzy and green, and grow in clusters of three leaves that have rounded lobes. 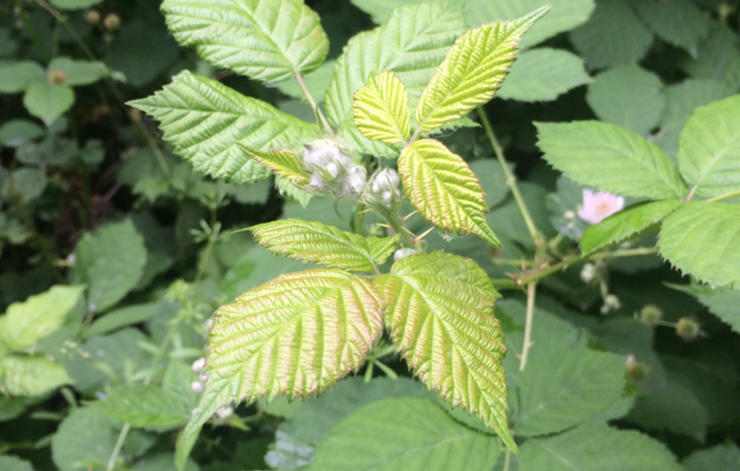 Sometimes poison oak may have yellow or white berries, similar to those found on poison ivy. In terms of the allergic reaction, poison oak is very similar to poison ivy. It can cause itchy rashes and skin irritation, and should be treated in the same manner (with the application of corticosteroids and cold water). Wood nettles and stinging nettles are two common hazardous plants that aren’t as well known among the casual gardening crowd. Wood nettles and stinging nettles both look deceptive, blending in with common weeds. They each are a plain green color, with an occasional tinge of red – and the stinging variety will sometimes have small, pretty blossoms. These plants typically grow a little further from civilization, so if you live in a developed community, you likely don’t have to worry. But if your property is on a sizeable tract of land, especially if there are woods and creeks nearby, then you should keep an eye out for these troublesome species. The stinging hairs of the various nettle plants can cause itchy and even painful allergic reactions. These tiny, needle-like follicles break off and become lodged in your, releasing formic acid which can cause a sharp, prolonged stinging sensation that can last for hours. If you come into contact with stinging nettles, an antihistamine like Benadryl is your best bet (although you should consult with your doctor before taking any medication). This entry was posted on Wednesday, June 21st, 2017	at 3:33 pm	. Both comments and pings are currently closed.